Correct response: What is Arbor Day? You can find state-by-state information at Arbor Day Foundation website. An average of 3.0734 5+-time champions (standard deviation 1.4702). An average of 5.5764 4+-time champions (standard deviation 1.82). An early cutoff took place 1.377% of the time (or a 5-game winner will be left out). Dave Scatena qualified 1.426% of the time. Eric R. Backes qualified 93.354% of the time. Anneke Garcia qualified 81.240% of the time. Lindsey Shultz qualified 59.402% of the time. Dave Leffler qualified 31.536% of the time. Jonathan Dinerstein qualified 11.040% of the time. Alex Schmidt qualified 1.860% of the time. 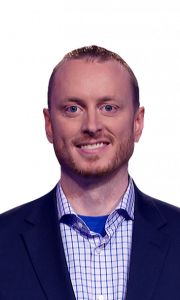 Jonathan gets the $2,000 for second place by virtue of having $4,200 to Jeff’s $4,000 after the Jeopardy! round. Effective in first on buzzer stats: Dave 29.09% (16/55), Jonathan 40.00% (22/55), Jeff 29.82% (17/55). 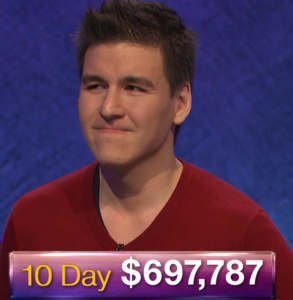 17 Comments on "Today’s Final Jeopardy – March 22, 2019"
Dave is a chemican engineer? Love the funny little mistakes. Thanks Andy. I still think chemican is pretty clever. Feel free to brag. I came here to ask if anyone got this. Been a while since I couldn’t even hazard a guess. Although I didn’t get to see it, this episode looks awful. 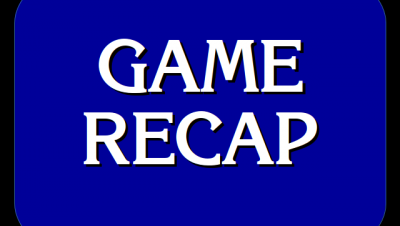 Three wrong answers on the daily double resulted a shutout and a triple stumper in Final Jeopardy to end the week. Let’s hope Monday’s episode will be much better. Yes, the players did not do well on DDs and the FJ! clue, yet 52 correct and only 5 TS clues is better than many games. It was not an awful game at all. Dave becoming champ with only $4,600 does not negate all of the good in the game. 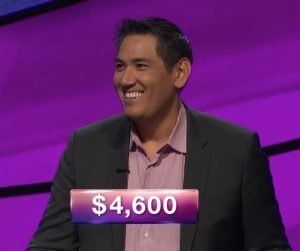 I didn’t record the game and so can’t check, but I could have sworn I didn’t hear the answer in the form of a question for “Mackinac” in the question about the grand hotel on that Michigan island. 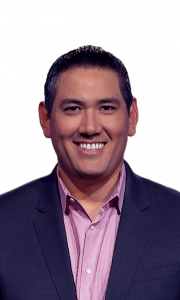 Both Alex and the judges have a direct link to contestant audio; if a contestant fails to phrase, someone would have told us on the broadcast. Alex said “Jonathan again” when calling on him, but he started answering as soon as he heard his name. His phrasing was obscured on the broadcast by Alex saying “again.” I don’t think there would have been any question about his phrasing in the studio, but the broadcast probably emphasizes Alex’s microphone when he’s speaking for the benefit of the viewer. Have never been a fan of Final being a lot of times an all or nothing, no matter how well you did. Like in elementary school when you won every round in a game getting 9 points then the teacher says, “ok the next round is worth 5 million points.”. 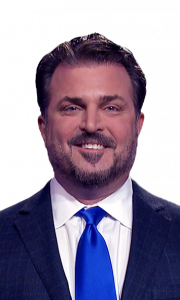 Johnathan got 58 correct vs Dave’s 15 but let’s forget all those questions and this final question will determine the winner! Yay! Whoops, didn’t see stats to date. Nevertheless, it happens a lot the person who dominates the other round loses to the other to the sheer nature of having to risk it all a lot of times. In the eyes of the show, that’s a feature, not a bug. Jeopardy! is as much entertainment as it is trivia, and a game that is a horse race until the very end is important to the entertainment end of things. I agree about the entertainment aspect, as I often know nothing about a whole category. I did stay up to 5 a.m. catching up on paperwork but able then to sleep late. I agree about the entertainment aspect, as I often know nothing about a whole category. I did stay up to 5 a.m. catching up on paperwork but able then to sleep late. This is not a duplicate comment. Well, I guess it WAS a duplicate; I couldn’t find it and couldn’t exit, so added a sentence. I did sleep until 1:30 pm — see how much I like the show?